How often is money ever free? Well, I believe kids should be able to play with pretend money as much as they want! It's great practice with math skills. 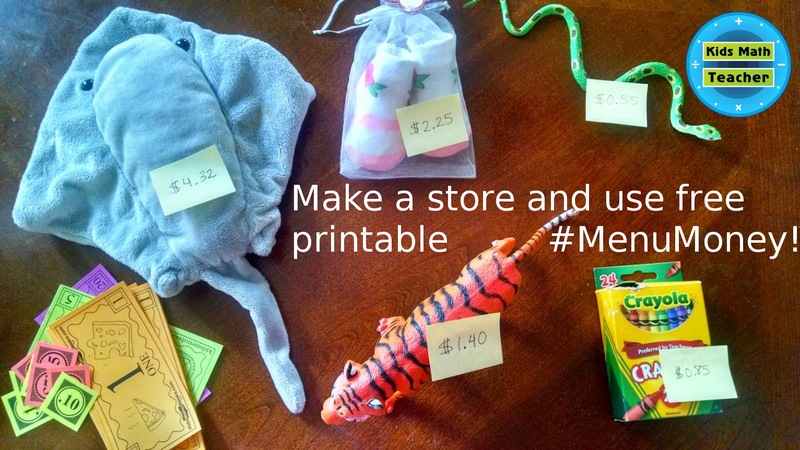 So, I want to make sure everyone knows that on kidsmenubooks.com you can print play #MenuMoney whenever you need to. 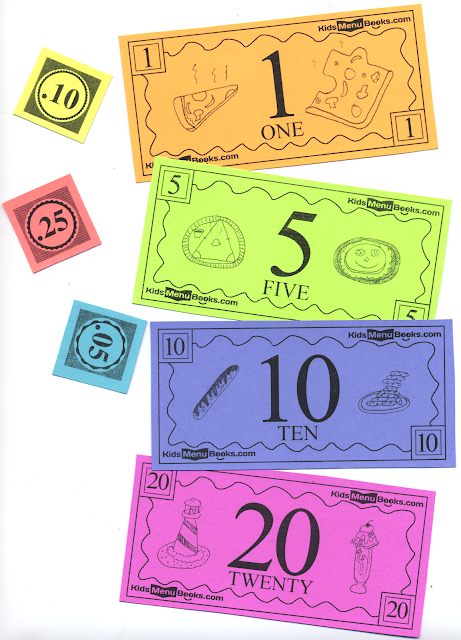 It lasts longer if you put it on cardstock and it looks really cool when the cardstock is bright and colorful! 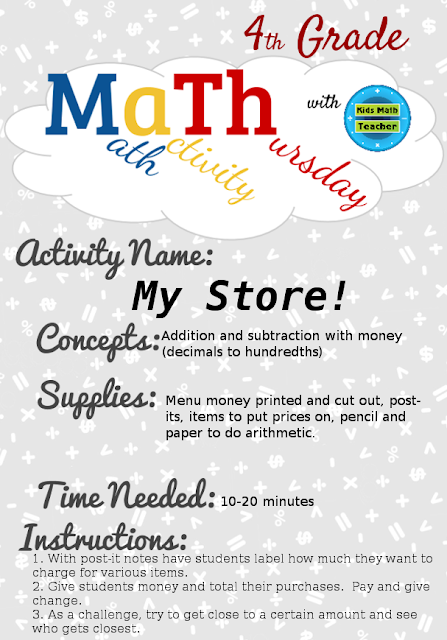 While the money is meant to be played with the books I am publishing, it can also be used anytime to help you as your students practice with money! I don't have the penny shown here, but there is one on the site. I hope you enjoy them and can put them to good use. Here is an activity you can do with your students! 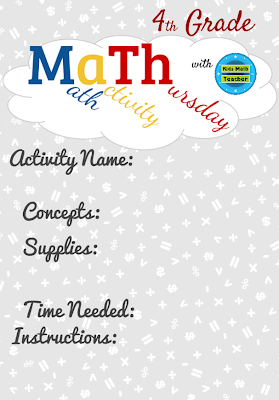 Here's your template if you want to make up a Math activity!